Train Simple is a one stop shop for all of your Adobe software and web design training resources. It features a vast library of over 7,000 (and counting) Adobe authorized video courses, ranging from Creative Cloud tutorials to HTML and CSS3 training. Normally $500, Lifehacker readers can get a lifetime account for just $74 - 85% off MSRP. With a one time purchase, you’ll get full lifetime access to Train Simple’s complete library, including all future courses. Whether you’re just getting started learning Photoshop or have extensive experience in web design, you won’t find a better value than this bundle. 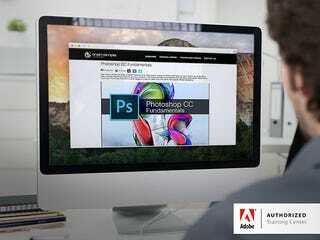 Get it now for $74 (85% off MSRP), and use code ADOBE5 at checkout for an additional $5 off your purchase.